Adobe recently announced the latest Mac versions of Photoshop Elements 11 and Premiere Elements 11, and I had a brief opportunity to glance at some of their shiny, new add-ons. Version 11 of both programs notably boast new looks, new experiences, new features, and new functions; but more importantly, they effectively tout prosumer video- and photo-editing solutions for the average consumer. 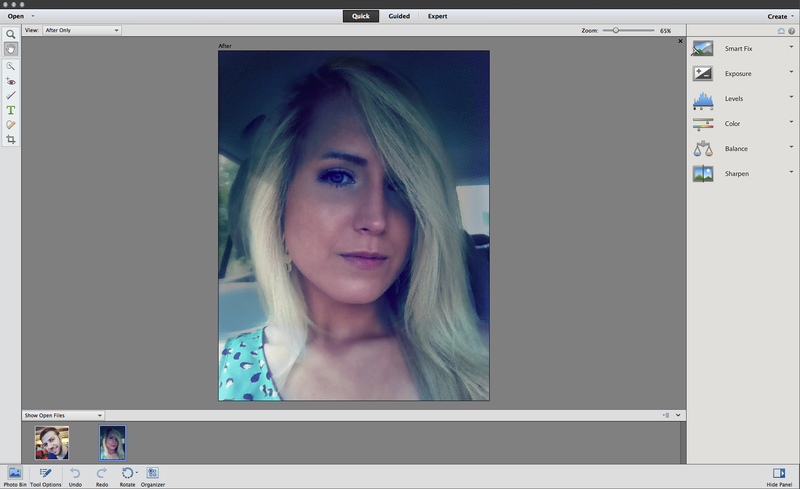 For those unaware, Adobe Photoshop Elements essentially provides iPhoto users with a Photoshop or Aperture-ish editing experience without the hefty price tag; and similarly, Premiere Elements gives iMovie users the more pocket-friendly bells and whistles of Premiere Pro or Final Cut Pro X. Go below for the full review. Photoshop Elements 11 costs $99.99, but users could upgrade from a previous version for $79.99. A bundled option, featuring Adobe’s consumer video editor Premiere Elements 11 (review below), is also available for $149.99. Amazon’s pre-order guarantee, however, cuts $10 off each price tag for both the standalone and bundled versions. Or download now from Adobe. The most obvious change in version 11 is the completely revamped Editor user-interface; the light-gray look clearly mimics older-version Elements. Adobe also simplified the visual aspects with larger icons and buttons, improved text legibility, and a reorganized layout. 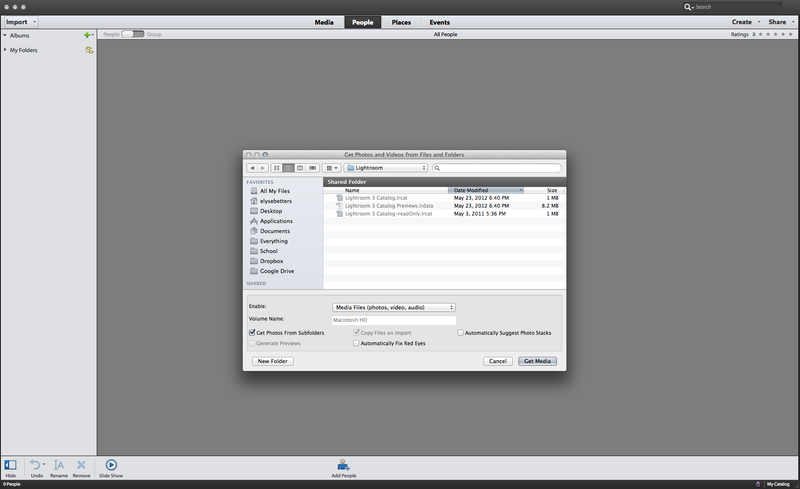 The Options Bar, for instance, previously sat above the image window. It is now a more prominent Options panel, located near the bottom of the window, where users will also notice a group of tools like Magnetic Lasso tool and Rectangle. Adobe removed click-to-view submenus of related tools, but users could press the tool’s keyboard shortcut to browse them. The new Tool Options panel is also able to hide. Panels are even different in the new layout. On the right side of the basic/default workspace, users will now only see a single panel at a time that no longer launches into separate windows. Buttons located at the bottom of the screen allow for switching between Layers, Effects, etc., while a More button further opens a second category of panels, which includes Histogram, History, etc., into a floating, non-anchoring window. If desired, employ the Customer Workspace option from the More menu to revert to Elements’ old setup. 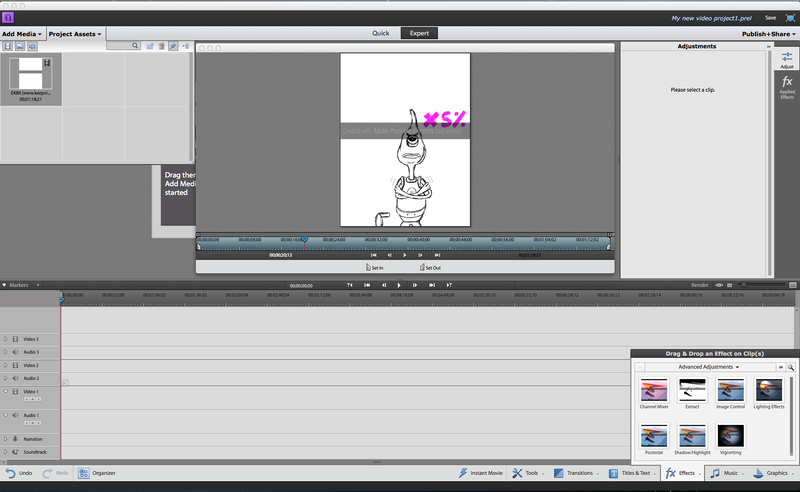 Additional interface changes throughout version 11 range from a new blue outline when selecting layers, for instance, to an Open button in the top-left corner for quickly accessing recent files. 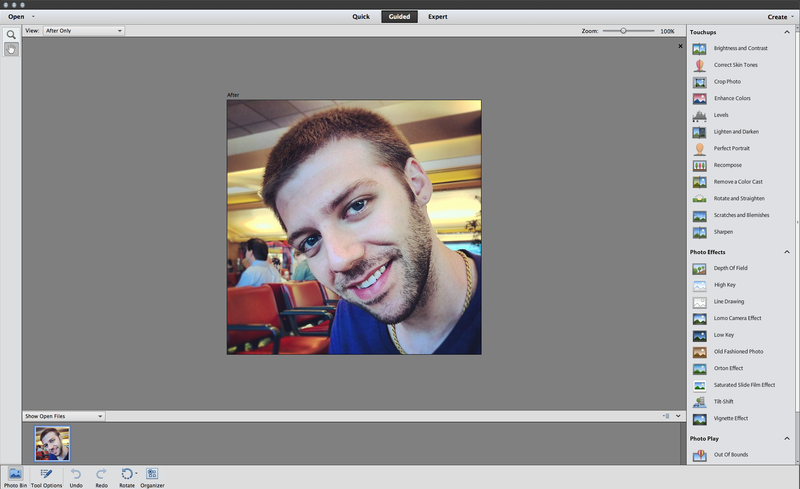 Version 11 now includes a much-improved Refine Edge feature that borrows from Photoshop. After defining a selection, users can choose Select>;Refine Edge to open the Refine Edge dialog box and access a bevy of options to refine the election. The Refine Radius tool expand the selection to include any additional frayed elements of the image; and upon releasing the mouse button, Elements removes the background. This feature is a godsend for composite work. Vignette — Darken or brighten edges in an image. High Key — Add highlights to an image for brightening. Low Key — Pump up shadow tones in an image. Tilt Shift — Selectively blur everything but a thin strip of an image. Artistic filters — (In Sketch collection) Pen and Ink, Graphic Novel, and Comic: create a cartoon or drawn look with customization options. The Organizer, like the Editor, also boasts the old-school interface. It even displays a row of large icons along the bottom for immediate access to common edits, such as image rotation, but it more notably included improvements to the library. Users could enter keywords in older versions to tag folks and searchable metadata, but four new viewing modes now take advantage of that information and make library browsing more streamlined. Media — Direct access to stored content. People — The Organizer’s people-recognition feature complies a stack of photos for each tagged person: move mouse cursor over a stack to scroll through images of a person, double-click to sets photos in one place, or arrange tagged people into groups. Places — A mapped view of geo-tagged photos: click the Add Places button to input images on the map or sift through plotted locations to see coordinating images (relies on Google Maps technology, so an Internet connection is necessary). Events — Manually identify events in photos by clicking Add Event or switch to Smart Events for grouping by date; saved events form into photo stacks for easier navigation. Quick Edit mode — Newadjustments show a grid of preview thumbnails before implementing changes. Expert mode actions — Play back editing steps in the Action Player is now in Expert mode for improved access and action loading. Third-party layer styles — Using third-party effects is now easier, as they load in the Preset Manager; click Options from the Styles or Effects panel and choose Load Styles or Load Effects to find the files or select Preset Manager to manage the add-ons. Adobe Revel — Mac owners who subscribe to this online service for syncing images across multiple devices can now use the Organizer for sending photos to a Revel library. Share photos— Via email, Facebook, YouTube, Vimeo, and more. Adobe Photoshop Elements 11 is a perfect photo-editing program for folks seeking additional options beyond iPhoto’s offering. The refreshed, visible icons in both the Organizer and the Editor are easy on the eyes and more streamlined, while the lighter interface is a pleasant flash back (although photos appear more attractive on a darker scheme). 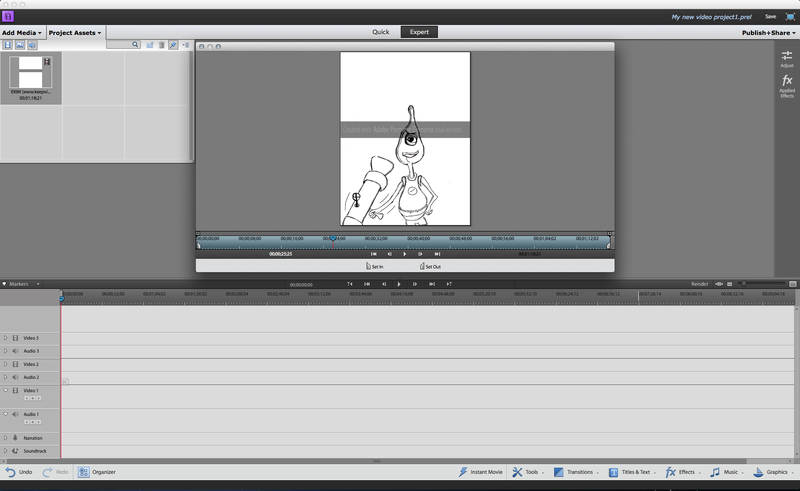 Oh, and the fresh guided edits and Refine Edge dialog are extremely handy. If you have the money to spare, but do not want to fork over $500 for the full Adobe Photoshop experience, Elements 11 is an improved, professional-quality bargain for consumers. If the price is too steep, try $15 Pixelmator which is a nice, stripped down alternative or GIMP a free and Open Source alternative. Premiere Elements 11 costs $99.99, but users could upgrade from a previous version for $79.99. A bundled option, featuring Adobe’s consumer photo editor Photoshop Elements 11 (review above), is also available for $149.99. Amazon’s pre-order guarantee, however, cuts $10 off each price tag for both the standalone and bundled versions. Or download now from Adobe. Version 11 offers a new visual experience, including many of the same updates found in Photoshop Elements 11, with a decent selection of creative video effects. I am not an expert with the older versions, but the latest update is obviously simpler and more cohesive due to aesthetic- and user-interface changes. Quick and Expert modes most notably replace Sceneline and Timeline with a more eye-friendly, refined layout, while a bevy of color-correction filters and template settings are just one-click away. Effects and other editing manipulations are available in the new Action bar along the bottom, where as the Split Clip button is currently present in the playback marker. The most noteworthy experience refreshes concern responsiveness: version 11 has practically no lag. It plays multiple advanced video-coding high-definition streams on a 3.1GHz quad-core Intel Core i5 iMac with little-to-no dropped frames, but there is still a Render Work Area tool in case previewing hiccups occur. Version 11 now includes a Time Remapping tool for fast- and slow-motion effects with ranging speeds that can ease either in or out without affecting audio or syncing. There is even an option to mute the clip’s soundtrack, while Frame Blending enables smooth transition to avoid harsh fading between frames. Users can further fine-tune their videos —manually or under Quick Presets— with a wide range of new effects, transitions, themes, titles, disc menus, and professional-level sound. Blend modes — Blend colors and edit opacity settings in clips. Film Looks — (In Effects collection) Add more color filters using slider controls, with combined effects akin to Split Tone and Three- Way Color Corrector. Upload to Vimeo — New export option, along with additional export locations, with 25fps templates. Unfortunately, I could not find BluRay or 24fps template uploading, or even a 1080/50p export template, but more experienced folks could create a custom template in the QuickTime H.264 format. With that said Premiere Elements 11 is a competent video-editing solution for beginner to nearing-professional consumers. And, honestly, it is an ideal iMovie alternative for anyone looking to quickly edit videos with high-quality presets without spending $650 on its older and wiser sibling—Adobe Premiere Pro.